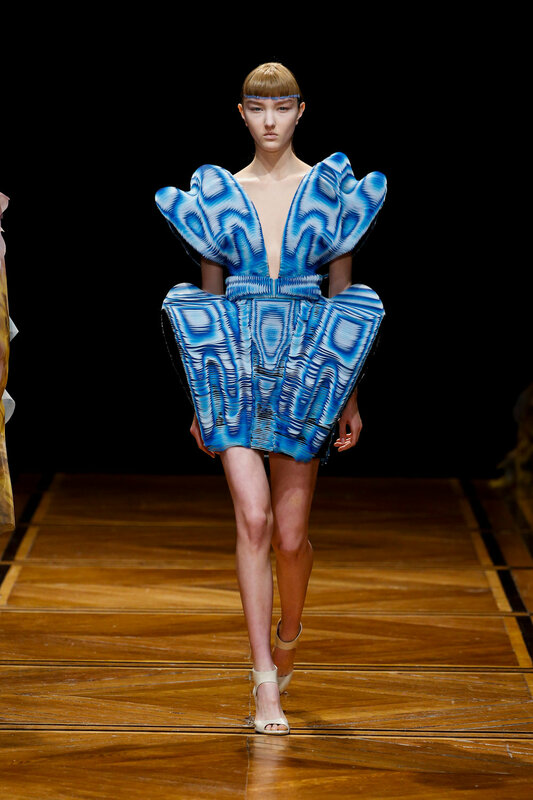 Iris van Herpen showcased her Shift Souls collection at the Musee des Beaux-Arts as part of the haute couture shows in Paris. Each garment was formed using elaborate wave forms and laser-cut detailing, all inspired by human-animal hybrids. With the breakthroughs in genetic engineering, van Herpen thinks approaching the subject of hybrid creatures is important. More information on Shift Souls, including images, can be found here.